Death of Fr. Pat Reynolds, C.Ss.R. We regret to announce the death of Fr. Pat Reynolds, Redemptorist, who died peacefully at Our Lady’s Hospice, Harold’s Cross, today, Wednesday November 22nd 2017, at 4.40am. Fr. Pat was Rector here in Esker Community from about 1999 to 2005. Fr. Patrick (Pat) C.Ss.R., died on 22nd November 2017, in the care of the staff of Our Lady’s Hospice Harold’s Cross. Formally of Mungret, Co. Limerick, the Philippines and Cherry Orchard Parish Ballyfermot. Predeceased by his brother Fr. Gerry C.Ss.R. and deeply missed by his brother Michael (Mungret), sister Noreen (England), sister-in-law Kathleen, nieces, nephews, grandnieces and grandnephews, relatives and many friends in Ireland and the Philippines and his Redemptorist Confreres. Removal immediately afterwards to Mount St. Alphonsus Church Limerick. Burial in the Redemptorist Community Plot in Castlemungret Cemetery. Fr. Pat was Rector here in Esker from 1999 to 2005. He was well known and loved in the local community, because he knew so many people by name. For some years past, he has been based in CherryOrchard Parish, in Ballyfermot, in Dublin, until illness in the past few years kept him away from his parish for a good period. Following a remission, he returned to the parish there, and until quite recently ministered there again. 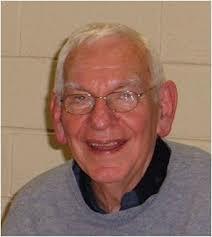 He was ordained in the Philippine Islands on December 1963, along with two others, John Goode and Tom Devitt. He ministered there until 1982, when he returned to Ireland for what was to be a holiday. However, we was asked to take over the office of Prefect of Students in Cluain Mhuire in January 1983, and, though his heart was still in the Philippines, he very generously accepted and took on the office for several years, possibly until about 1990. For a time, he worked in Scala, in our Youth Ministry Community there in Blackrock, and then more recently, in CherryOrchard Parish. Much loved by all, he will be deeply missed by his family and by his Redemptorist Community, in Ireland and in the Philippines. He will be deeply missed by all who knew him during his time in CherryOrchard Parish. Go móide Teaghlach Dé dá anam! May his soul increase the household of Heaven!